Easy to customize features so you can make it your own. 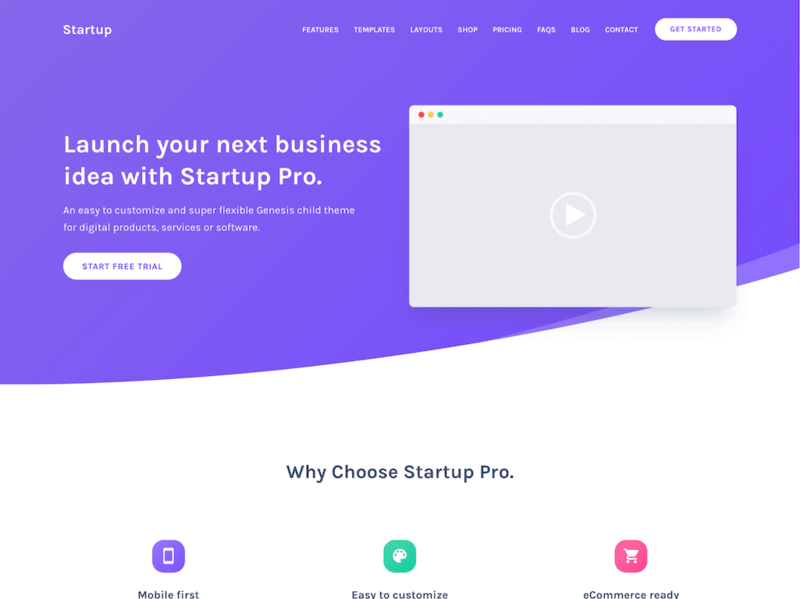 Change the hero section background image or video, divider shape, colors and more in just a few clicks. Almost every color in the theme can be personalized from the Customizer and there’s even a setting for the button border radius. 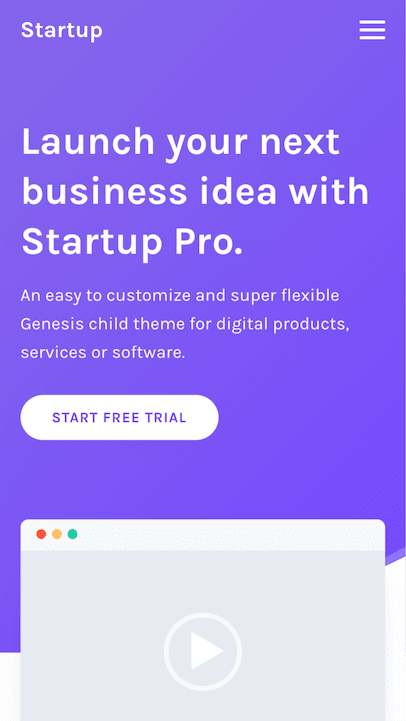 Features like testimonials, faqs, pricing tables, maps and more make Startup Pro our most flexible theme yet.